Jagtar Singh & Sons Hydraulics Pvt. 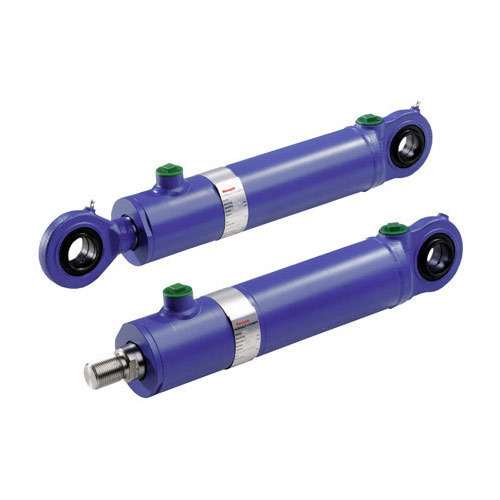 Ltd. manufactures precision-engineered Hydraulic Cylinders and Components for the infrastructure and related industries. Headquartered in New Delhi, we have manufacturing facility in Delhi spread over in an area of 4400 sq. meters, an upcoming global manufacturing hub at Bahadurgarh, Haryana spread over in an area of 20250 sq. meters sales offices located in Chennai and Ludhiana. Over 3 decades of experience coupled with deep engineering expertise, scalable manufacturing and consistent Quality make us a preferred source to OEMs the world over. Our cylinders run efficiently on Material and Cargo Handling Equipment such as pick and carry cranes, Construction and Earth moving Equipment such as backhoes, Industrial equipment and Special applications. Today, we are among the top five Hydraulic Cylinder manufacturers in India with capacity of processing 150 cylinders per day. Besides manufacturing hydraulic cylinders, Jagtar Singh & Sons Hydraulics Pvt. Ltd.
Our objective has been and continues to be simple. With passion and determination, we pursue excellence and “best in class” performance for the clients we serve. We do this by creating and constantly enhancing a culture where nearly 165 very talented and committed JSSI employees. In pursuit of this strategy, we shall continue to grow all our business groups organically through the addition of engineers and other technical personnel. Seek highly selective products launches that complement our existing strength, as evidence by our early launch of Hydraulic Cylinder catering to the Indian Construction, Mining, Agriculture, Material Handling, and Road Vehicles sectors.